Car breakdown has become the burning concept that can be resolved by the best car servicing company. Moreover, these service stations not only act as an aid for sustaining European car breakdowns but at the same time they even allow you to maintain your car so that it can function in an efficient manner. Without using quality European car service, you are probably destroying the persona of your car, therefore read on to explore how you can grab the best car service company that will nurture your luxurious European cars with extreme care and perfected techniques. There are some astounding servicing options that are brought by most of the service stations that specialize in servicing European cars. You can take help from the authorized dealer from where you purchased the car. You can take help from a profound auto mechanic. You can use nominal back street service stations in case of emergency repair. You can choose a known company which works as the specialist of European cars. Let’s have a look on these for option in detail. At the first thought, this might be the best option on the list. But, wait a while and do understand whether it is something that you are going to need for your car at the moment or not. Whether your car is the magical Skoda, Audi, BMW, Peugeot or Mercedes there are some restricted service frequencies that are brought by the dealers. Initially, you are going to get free servicing from the dealers but as soon as this free servicing period expires then the services turns out to be quite expensive. This is the reason why many people get adversely shocked when they come across the estimates that are prepared by such dealers for European car service. This is a cheaper option, where you can take your car to the nearest automobile workshop for the requisite servicing. Here, you can even go for those mechanics who have handled the previous cars that you have owned, and through this experience you will be able to realize the auto mechanic that is best for you. Most of the time, there are just handful of mechanics who are involved here therefore pre booking your servicing is a must, as if the servicing is all booked then you would probably have to wait for a long period to use their services. This is the third option that you are going to get for your European cars. Now the backstreet service stations is something that is never recommended for the luxurious cars, because these service stations are mostly present roadside and work under dirt and pollution too. Though most of the backstreet service station guarantees to offer quality services at affordable rates but they fail to do so because of the unavailability of the right equipment and the right environment. This is the best option that you can have after dealers. 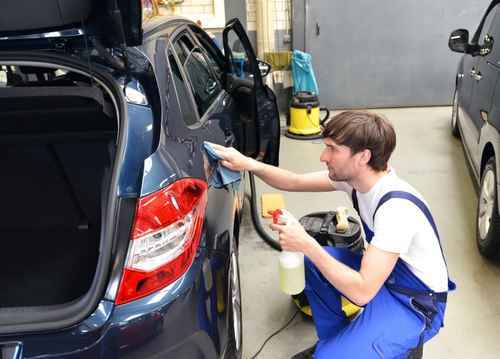 The European car specialists always come up with trained professionals who have years of experience and expertise in handling any sort of European car service at an extreme ease. Moreover, they work in a targeted market where their mission is to deliver the best to their customers, so that this can increase their exposure in the market and make them a standout too. Their work is to bring customer satisfaction, so that you can use your classic European cars just the way you want, without facing any type of trouble for its maintenance. This blog helps you to find best European car service for your luxurious car. If you would like to know then let’s go to the details and get more ideas.